7.3 million years ago. 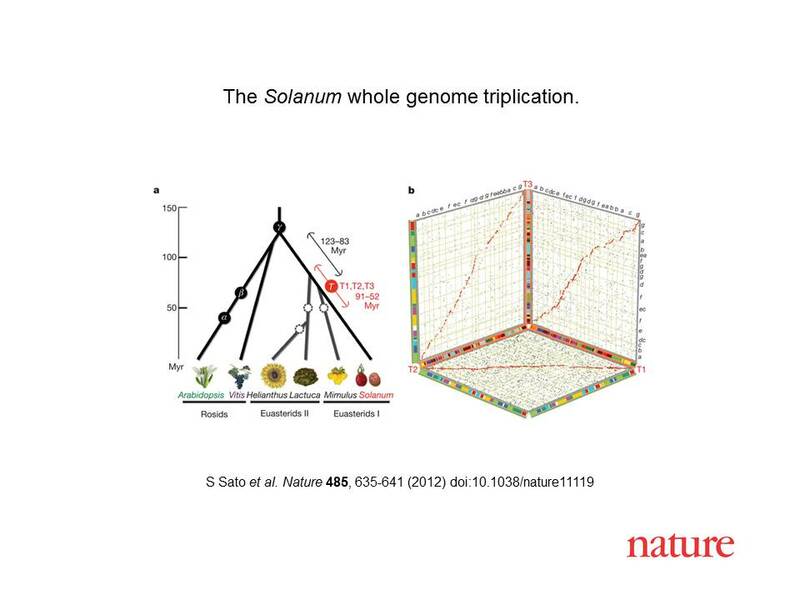 On the basis of alignments to single grape genome segments, the tomato genome can be partitioned into three non-overlapping ‘subgenomes’. 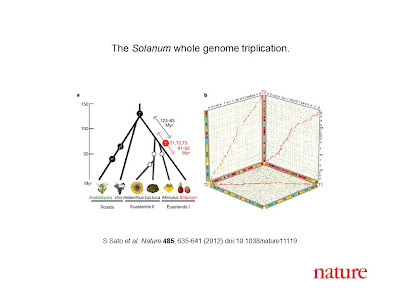 These triplications set the stage for the neofunctionalization of genes controlling fruit characteristics, such as colour and fleshiness.